MANHATTAN, NY (WASHINGTON POST)--Michael Cohen, the longtime attorney of President Trump, is under federal investigation for possible bank fraud, wire fraud and campaign finance violations, according to a person with knowledge of the case. The broad seizure collected communications between Cohen and his clients — including some with Trump, according to both people. The raid was related to an investigation referred by special counsel Robert S. Mueller III to federal prosecutors in New York, said Stephen Ryan, an attorney for Cohen. “I have this witch hunt constantly going on,” the president said. 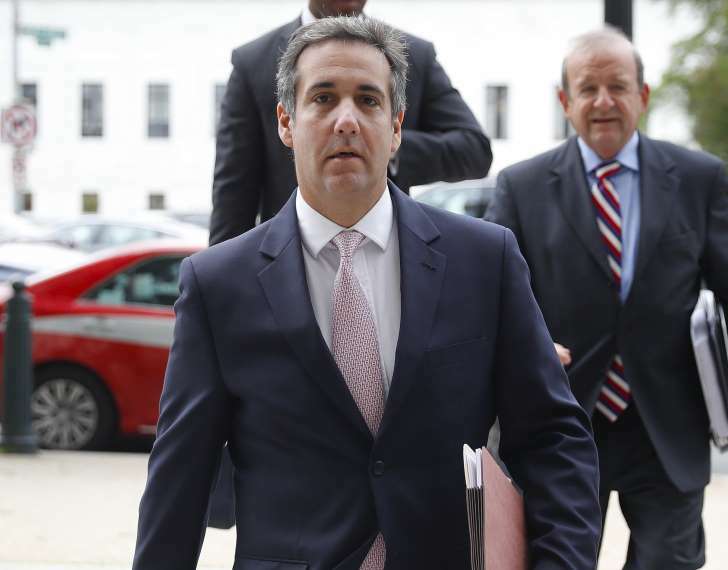 In February, after a watchdog group filed a complaint with the Federal Election Commission, Cohen released a statement saying he “used my own personal funds to facilitate” the payment. He rejected the idea that the payment should have counted as a campaign contribution. To pursue criminal charges against Cohen for breaking federal election law, prosecutors would have to prove that he made the payment to influence the election, rather than for personal reasons — to protect Trump’s reputation, for example, or his marriage to Melania. Devlin Barrett, Mark Berman, Emma Brown, Josh Dawsey, Rosalind S. Helderman, Beth Reinhard and Philip Rucker contributed to this report.